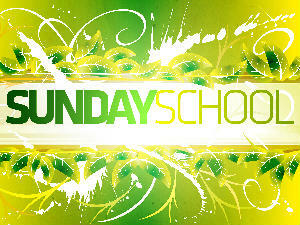 The Sunday School is the largest teaching organization within Mt. Zion Baptist Church. The Holy Bible is the major source of all our studies and is supplemented by Sunday school materials from the Sunday School Publishing Board. Sunday School begins promptly art 9:00am each Sunday morning with a devotion in the J. H. Dotson Fellowship Hall. Each teacher is responsible for the 20 minute devotion on a monthly theme selected by the General Superintendent. Upon completion of the devotional period students are dismissed to their various classrooms for an hour of study. Weekly teachers’ meetings are held each Sunday morning at 8:30am in the Board Room. The Sunday School holds three major programs each year at Easter, Mother’s Day, and Christmas to showcase our children.